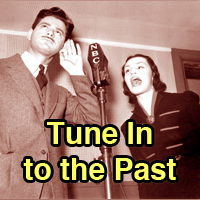 Desiring Medieval Sound | Sounding Out! In fall 2013, The Cloisters’ Fuentidueña Chapel was brimming with bodies in motion, in relation, in sound and in silence, attracting ear and eye away from the hall’s sparse collection of medieval sculpture and fresco to a performance unfolding in its midst. For the first time in its seventy-five year history, The Cloisters presented a work of contemporary art: Janet Cardiff’s Forty-Part Motet (2001), a site-specific virtual performance of Thomas Tallis’s famous sixteenth-century, forty-part motet Spem in alium, played on a continuous fourteen-minute loop through an array of forty high-fidelity speakers. It was, by all accounts, a resounding success. Reviews in the The Wall Street Journal, The New York Times, The New Yorker, and NPR’s Soundcheck were rhapsodic. The volume of visitors to The Cloisters, which houses most of the Metropolitan Museum of Art’s medieval collection, tripled. On the day I visited, I found myself deeply moved—in part by the music, yes, but also by my weird intimacy with each speaker’s singular human voice, and by the unguarded auditions unfolding all around me. One couple chatted cheerily over the music; a white-haired matron sharply shushed them quiet. Some sat on benches or the apse steps, eyes closed; many travelled from speaker to speaker, lingering. One visitor openly wept. I learned from a museum attendant this was a near daily occurrence. How could a looped recording of Renaissance polyphony generate such outpourings of enthusiasm and emotion? By multiplying auditions. By putting bodies in relation. By sculpting space. By dislocating time. By sounding in The Cloisters. By irrupting the Middle Ages. By desiring medieval sound. Spem in alium chimes with the whole of Cardiff’s body of artistic work in its abiding interest in the physicality of sound, “in how sound may physically construct a space in a sculptural way and how a viewer may choose a path through this physical yet virtual space.” The language she uses to describe her work here links sound and motion in the sculpting of space: as the sound moves between choirs, variably filling acoustic space with voice, so audiences move among speakers, plotting itineraries according to the physical, visual, and aural push and pull of bodies in relation to other bodies. Moving and being moved are the hammer and chisel Cardiff use to give sounding space its shape. Syntactically, what does Cardiff want to climb inside of, so that she might hear voices individually? The radio—but that would merely eliminate a mediating technology, putting her in the concert hall or cathedral, no closer to the individual voice. The performance—but that would render her a singer, her own voice filling her hearing so she’s unable to attend to the voices of others. No—Cardiff seems to wish to climb inside each singer to hear their voice individually, intimately, as if her own. The motivation driving Forty-Part Motet amounts to a fantasy of transpersonality. a surrogate relationship with a viewer… People could get this intimate connection with this virtual person in the audio walks, in the same way they can with Motet…. They hear the sound of my breathing; it’s right at the back of their necks, but not in a creepy way. It’s almost in a natural way; it’s almost in their head. In Forty-Part Motet, though, this intimacy is in reverse. It’s not another’s voice in our head. It’s us visiting voices in the heads of forty others. Latin for “Hope in another,” the incipit of a medieval Sarum rite responsory from the Vulgate Book of Judith, Spem in alium is widely considered Tallis’s greatest work. The motet is experimentally syncretic in structure and style. It opens with elaborate polyphony frowned upon as too Catholic in the Protestant England of the mid-sixteenth century, when the work was composed and premiered. A point of imitation percolates through four quintets of soprano, alto, tenor, baritone, and bass, until twenty singers voice twenty distinct lines, obscuring any sense of rhythmic pulse and textual intelligibility. This mass of vocal sound passes through the eight total quintets until it completes a full rotation through the choir. All forty voices enter at once for the first time at the fortieth breve [3:08 in video above]. The quintets then rotate back to where they began, and the mass of forty contrapuntal voices resurges [5:20], made all the more massive by slow harmonic movement between tonic and dominant. 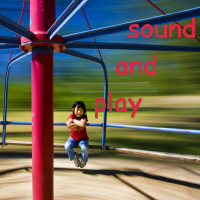 We are hit with a sonic welter, nimble and static all at once. Suddenly, all voices fall silent [5:40]. This is the first of three caesuras in the piece, all of them crucially important: they articulate the motet into distinctly characterized segments, they offer aural contrast to the work’s welters of sound, and they create opportunities for forty-strong choral entries, rare moments where all voices coordinate, where the horizontality of the vocal line temporarily vanishes before vertical harmonic coordination. Following this first hiatus, Spem in alium adopts a distinctly homophonic and antiphonal style: the text is clear, rhythms readily discerned, as English sacred music responsive to Reformation ideals aspired to be. A transparent voicing on tonic C major precedes the second caesura, whose yawning gap gives onto alien sonority: A major [8:06]. Non-functional, unresolved, otherworldly, the chord hangs across all voices for the span of a breve before shifting mode, C-sharp giving way to C-natural, the motet resuming diatonicity and building momentum towards its final seventeen breves’ worth of full-throated, forty-voice polyphony [9:08]. For a moment, though, Spem in alium cracks open, slowing time, reconfiguring voice. Something utterly other irrupts into audibility, arresting, ephemeral, ravishing—and then is smoothed away. Carolyn Dinshaw opens her love letter to the amateur medievalist, How Soon is Now?, with an anecdote about a bespectacled young man in a dark blue bathrobe at the fall 2008 Medieval Festival at The Cloisters. “[H]e had glanced around his house and grabbed something that looked like a monk’s robe or that otherwise signified ‘medieval’,” she writes. “The past is present in this intimate, mundane element of undressed everyday life” (2). Dinshaw gives a name to the nonce infolding of past and present that captured her fascination in the figure of this young man: “asynchrony: different time frames or temporal systems colliding in a single moment of now” (5). It’s no accident that Dinshaw launches her study of medieval and medievalist asynchrony at The Cloisters: the museum building is a patchwork of medieval architectural elements spanning the eleventh- through sixteenth-centuries, lifted wholesale from their European sites and mortared together with modern materials and techniques in a medieval style. In the Fuentidueña Chapel where Forty-Part Motet was installed, for example, a twelfth-century Spanish apse’s mottled limestone abuts neat grids of hewn block and smooth tile that forms the modern nave; the modern structure’s recessed clerestorial apertures emulate the apse’s Romanesque slit windows, permitting only the skinniest vertical bars of light. Thomas Hoving, former curator of the medieval department and director of the Met, describes two attitudes towards The Cloisters’ amalgamative architecture: critical disdain towards a “hodgepodge of ancient European architectural history, ripped out of context, pasted together to form a dreamlike but haphazard ensemble” (56); and affectionate reverie: “If you dream a little, you can float through time to the eleventh… through [the] twelfth… all the way to the beginning of the sixteenth century” (58). In many ways, dream is the mental site of asynchrony where memory and vicissitude, anxiety and hope promiscuously mingle. The museum, that consummate heterotopia assembling traces of the past in a single moment of now, likewise manifests asynchrony in physical space. The Cloisters, then, is a dream of the Middle Ages, a locus of temporal heterogeneity we enter after crossing the greenwood of Fort Tryon Park, as if on pilgrimage into the past, still clothed in our everyday life. 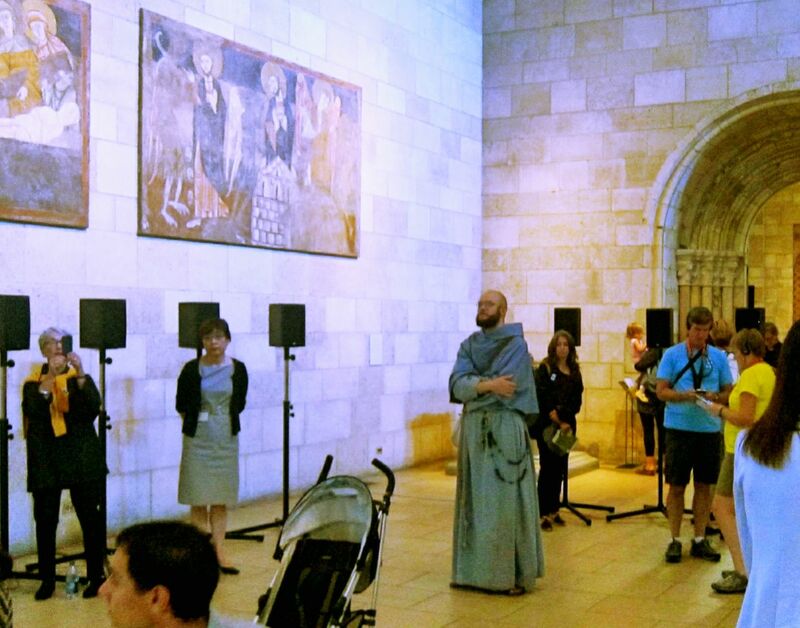 Shortly before Forty-Part Motet was installed at The Cloisters, Janet Cardiff Googled one of her favorite singers from the recording, to see how he was getting on. She found a funeral announcement. “He’s still singing in the choir,” she remarks. Asynchrony takes “the form of restless ghosts haunting the present” (34). The Brother entered, listened to the nine-minute motet, and his face glowed… When it was finished, he glided out. Perhaps (Videte miraculum!) he has lived in the Funtedueña Chapel for its thousand-odd years, and appears only for special celebrations. A photo taken at the event shows a man in a monk’s habit, glasses perched on his nose, his robes a faded shade of blue. I was recording with the tape recorder out in the cemetery. I had a headset on and I was walking around doing research, just recording the names of the people on the headstones… Then I pressed stop and… I hit rewind by mistake, so I had to press play to find out where I was. All of a sudden I heard my voice describing what was in front of me and my footsteps walking… I was electrified. It was really, really incredible. “[T]he speakers are a little like the tomb effigies of knights and ladies held in another chapel space of The Cloisters, containing something of the person who lived… [while] an object that also has nothing to do with that person except in memory.” That something is, of course, their voice. The performance of Spem in alium runs to about ten minutes. 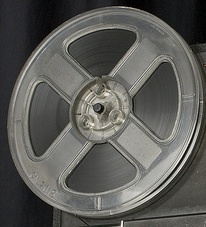 Cardiff’s looped recording runs to fourteen. In those four extra minutes, the singers clear their throat, mutter to themselves, chat idly, moan about last night’s bender, excuse themselves to the loo. In a hall full of murmuring visitors, it’s difficult to tell which voices come from which bodies, or whether voices still come from bodies to begin with. 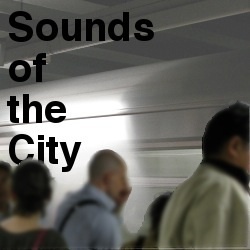 This is the acousmatic situation, as Brian Kane describes it, a phantasmagoria that “[posits a] sphere outside the bounds of the mundane world… manifested in this world only at special or singular moments” (108). Cardiff explains to WNYC’s Studio 360 that “each individual speaker is an individual singer… You realize that, yeah, these are real people” [1:30 in the audio clip below]. Reporter Jamie York goes on to remark that “in some ways, the speakers are more like people than people are” [4:06]: unguarded, approachable, vulnerable, obverses of the brusque, hardened urbanites attending the installation. One visitor draws the obvious conclusion: “What the work does, the position that it puts you in, is really one of a ghost” [6:31]. Dinshaw aligns asynchrony with the loving labors of the amateur, reminding us of the word’s etymology, and with amateur forms of knowledge “derived not only from positions of detachment but also… from positions of affect and attachment, from desires to build another kind of world” (6). Cardiff’s work is similarly about affect and attachment, about “space impregnated with memory and desire, expectation” (32), about the active construction of worlds between persons, in that word’s etymological sense. Her soundwork blurs boundaries between presence and absence, inside and outside, the living and the dead, the aesthetic and the everyday; it performs the world’s “slippage between the recording and the recorded, the past and the present, and the confusion of what is memory and what is our present” (35). What memory does Forty-Part Motet slip us into? Surely, a fraught one: we take a seat in the towers of Nonsuch Chapel, we exchange pleasantries with that select audience, we hobnob with the Queen. This is the false memory of cultural fantasy, and we do well to interrogate it for what, and who, it includes and excludes. Yet, we don’t remember, exactly. We did not, cannot perceive the soundwaves that filled the upper room in 1559. We do not sit with that aristocratic audience, stationary at the center of a compass of eight quintets. Rather, we circulate in space and in time, seen and unseen. We are ghosts who enter into relation, body to body, with persons not there, whom we cannot know, and with persons there, whom we come to know in a bed of sound. We oscillate between self and other, a hopeful vibration; we traverse and, in traversing, sculpt the space between singular voice and multiple chorus with our desire-moved bodies. We temporarily become the owners of voices not ours; we are undone and made intimate, in a visible and invisible community of intimates. Another way of saying this is that Forty-Part Motet slips us into the structure of memory, a structure that resonates in and with the physical structure of The Cloisters, multiplying asynchronies and blurring our quotidian orientations more powerfully than either could manage alone. “We need a non-modern temporal orientation to perceive [temporal] heterogeneity,” to resist modernity’s “subject-object split,” “to explore subjective attachment rather than objective detachment” (183n129). More attachment, Dinshaw implores, and indeed, how else could a looped recording move so many? How else to open the narrow aperture through which a medieval past momentarily irrupts into the present—non-functional, unresolved, otherworldly, in the space of sound? Andrew Albin is assistant professor of English at Fordham University at Lincoln Center. He facilitates the Fordham Medieval Dramatists in their biennial performance of early English drama for public audiences at Fordham and in NYC. Publications include articles on the Chester shepherd’s play in Early Theatre and on Chaucer’s Prioress’s Tale in The Chaucer Review, and a chapter in the edited collection Voice and Voicelessness in Medieval Europe on Richard Rolle’s Melos amoris; Prof. Albin is also currently preparing a multimedia, alliterative English translation of the Melos amoris for publication under the PIMS Mediaeval Sources in Translation series. He has also collaborated in the creation of musical works that have been performed across the United States and in Europe.